Griffon Alpha Group offers an effective Mobile Security Patrol Service as a cost-effective security solution to clients whose premises are already equipped with adequate security devices and equipment; such as CCTV, security alarm systems and proper fencing. Hiring a mobile security patrol eliminates the need of employing a static guard while maintaining a high level of professional protection for your premise and lowering your costs. 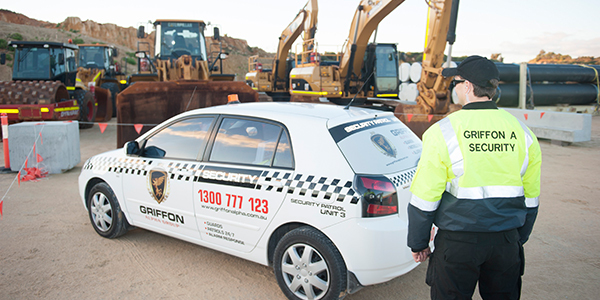 Griffon Alpha Group operates a large fleet of marked security patrol vehicles throughout Sydney. Each of our security patrol units is equipped with the professional-grade tools needed to perform effective inspections of our clients’ property. These include spotlights, Guard Tour Management systems, radio and mobile communication facilities, GPS tracking devices, Video/Voice recorders, as well as computer and Internet access for speeding reporting. If your premise would benefit from the assistance of a mobile security patrol, contact our Griffon Alpha office today to discuss your needs.